Stopping smoking on your own without any help is the most used method and also the method most likely to fail. Luckily you can always use hypnotherapy to stop smoking. Hypnotherapy is one of the best therapies around to help you to change your habits and also the way that you think. One of the hardest aspects of stopping smoking is that people are unable to change their mindset and within a short space of time they start smoking again. There really isn’t a need to go through all of this struggle if you live near or can travel to Leeds. Why Do People Try To Stop Smoking Without Hypnotherapy. The biggest reason has to do with people not recognising the value of stopping smoking. I’m a very big believer in the idea that doing things off of your own back can be great but getting someone to help you achieve it is quicker. 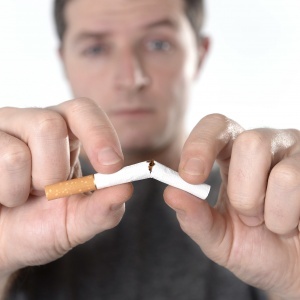 When you try to stop smoking on your own you are not only dealing with the general difficulties that come from withdrawal to an addictive drug but you are also then having to deal with all of the repressed reasons of why you started smoking in the first place combined with the reasons that have kept you smoking. For many people all of this is too much to handle, their moods change and they end up smoking again. Let’s say that you live near Leeds and you want to stop smoking but you want to do it on your own. What is the first thing that you are going to try and do to stop smoking? You are going to have a go at willpower first aren’t you? What about the second, third or fourth time? Most people again try to stop smoking using willpower. It worked so well last time right? Why wouldn’t you keep doing the same thing over and over again and expecting the result to be any different? 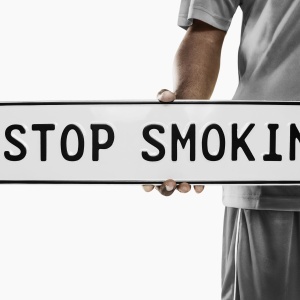 The problem is that you haven’t yet accepted the value of using hypnotherapy to stop smoking. If you wanted to become a professional tennis player, would you try and learn all of the skills yourself and expect to get to the same level as someone who hires people that play at a professional level? You could but you wouldn’t get as far as quickly and probably give up in frustration. Sound familiar? Using hypnotherapy to stop smoking could be one of the smartest things that you do. Think of all of the frustration you could save yourself. Rather than spending months struggling from day to day just trying to get through the day and hoping that you will be able to stop smoking for good yet in the back of your mind you are waiting for the day when you crumble. Here’s why you haven’t been able to value using hypnotherapy to stop smoking before. The Value of Using Hypnotherapy To Stop Smoking. Now I want you to stop and have a really good think about this question. What would it be worth to you to not go through months of torture and struggle? Think about all of the things that you wouldn’t be able to enjoy as much because you were thinking about smoking. All of the interactions you have with the people that you want to spend your time with. All of the times that you have to say no to meeting up with people because your willpower might not be strong enough yet. All of the tensions within your household and/or closest connections all because you hadn’t yet realised the value of using hypnotherapy to stop smoking. What would it be worth to you to not have to go through any of that and to simply be happy and relaxed about stopping smoking? I want you to stop what you are doing right now and think about what you will lose and write an honest figure. If you haven’t written a figure yet, I want you to stop and actually do this. This is for you. If you don’t do the exercise and have that figure then how can you ever really value stopping smoking? Are You Really Ready To Stop Smoking? In order for you to be able to stop smoking you need to be in the right place mentally to stop smoking. If you haven’t done the exercise above and just skipped past it then there’s a good chance that you aren’t going to put any effort into stopping smoking. Going back to the analogy I used earlier about becoming a professional tennis player, do you think that you could achieve that if you didn’t even do the basics? I’m pretty sure that you wouldn’t become a professional tennis player and if you try to stop smoking with the same mindset and level of effort then you aren’t going to achieve that either. So if you didn’t do the exercise, we may need to work on that first before using hypnotherapy to stop smoking. I want you to be successful at stopping smoking. I want you to not only achieve it but I want it to be so simple for you that you are amazed at how easy it is. If you didn’t do the exercise then you just need to be honest with yourself and be strong enough to say that you could benefit from having that extra help. It might be that we do one session beforehand and get your mindset inline with your goals. Give you that kick up the backside that you need to be motivated enough to want this. That is easy enough to do and we can speak about that. If you have done the exercise, give yourself a big pat on the back. You’ve taken that first step and you now know how much you value stopping smoking. The next step is to book your initial consultation. Sessions are held near Leeds train station. The consultation is a chance to make sure that we are a good fit to work together and for you to ask any questions that you aren’t sure about. I want to know that you really want this and that it’s not just a passing idea. I only work with people that want to change even if they are scared of that change. If this sounds like you click here and tell me about how you now value using hypnotherapy to stop smoking. ← PreviousWhat Are Boundary Conditions And How Can You Change Them?